The main way he would do this is to make it easier for small businesses to band together to buy health insurance through nationwide association health plans. The order will likely free these plans from several key Obamacare regulations and from state oversight. Instead, they'd be subject to the same federal regulations as large-employer plans. The key backer of this move, GOP Senator Rand Paul of Kentucky, dismisses critics' concerns that association plans would hurt those who are sick and need care. Instead, he says it would allow small businesses to use their collective bargaining power to purchase the same level of coverage as large group plans. "If you get group insurance under this proposal or any group insurance in this country, they can't discriminate," Paul said on MSNBC Friday. "If you have a pre-existing condition, you can still get any group insurance in our country. The insurance that we're talking about through health associations is exactly the same insurance that big corporations like Coca-Cola, Pepsi, Amazon, Microsoft - this is what they have for their employees." While much will depend on how the new regulations are written, the point of Trump's executive order is to let these association plans skirt Obamacare rules, said JoAnn Volk, project director at Georgetown's Center on Health Insurance Reforms. Currently, the rates employers pay when they purchase coverage through the health reform law's small business marketplace aren't based on the health of their workers. They differ only by geographic location and the age of the employees. Also, the policies must cover all the essential health benefits laid out in the law. Large employers, however, don't have to adhere to all of Obamacare's rules. For instance, they don't have to provide comprehensive policies that cover prescription drugs, substance abuse and maternity benefits. It's true large companies can't exclude or charge higher premiums to individual workers based on their medical history, as Paul and the Trump administration are quick to point out. But the rates an employer pays as a whole are based on the health status of its workers. But it's much more difficult to achieve that balance at a small firm with only a handful or workers. So it's likely association plans would try to cherry pick small businesses with younger and healthier staffers. They could do this by charging higher premiums or offering skimpier benefits to firms with older and sicker workers, or those with more women, who tend to use more health care services. While those with pre-existing conditions could still get comprehensive individual coverage through the Obamacare exchanges, it's likely the premiums there would rise if many healthier enrollees are drawn in association plans. These are some of the main reasons why so many health care providers and patient advocacy groups have come out against Trump's executive order. 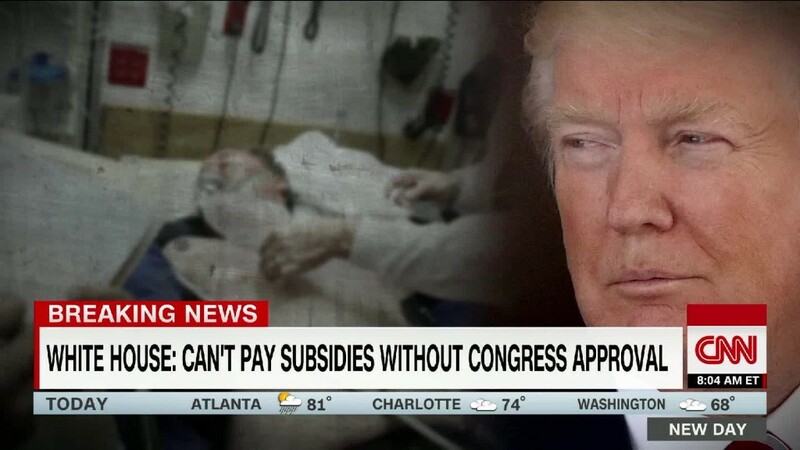 "This order has the potential to price millions of people with pre-existing conditions and serious illnesses out of the individual insurance market and put millions more at risk through the sale of insurance plans that won't cover all the services patients want to stay healthy or the critical care they need when they get sick," according to a joint statement issued Thursday by 18 patient organizations, including the Arthritis Foundation and the American Heart Association.